Let’s Talk Oakland is promoting Spring Cleanse with a shredding event on March 25, 2017, 8am – noon at Oakland Borough Hall parking lot. Thank you to the Oakland Community of Commerce, the Borough of Oakland and FileBank for sponsoring this event. Studies on the amount of clutter we keep have shown a direct relationship to our levels of anxiety and depression; so, the Spring Cleanse shredding event is a great opportunity to organize and declutter your living space. 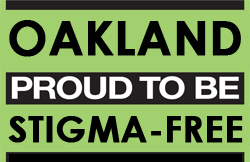 Lets Talk Oakland is devoted to helping raise mental health awareness in terms of improving everyone’s mental health – and also working to support Oakland’s designation as a Stigma Free town when it comes to those struggling with the challenges of depression, drug addiction, and other mental health issues. Get yourself on the road to mental health optimization and declutter your space by joining in at the Spring Cleanse free shredding event. Click here to read The Link Between Clutter and Depression. It’s been proven. Clutter is a bummer — literally.